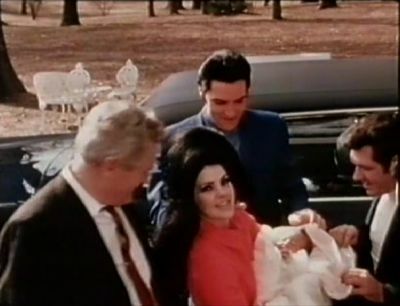 Elvis,Priscilla,Lisa and Vernon. 1st February,1968. Wallpaper and background images in the এলভিস প্রিসলি club tagged: elvis presley elvis king priscilla lisa. This এলভিস প্রিসলি photo contains ব্যবসা উপযোগী. There might also be তাড়িখানা.